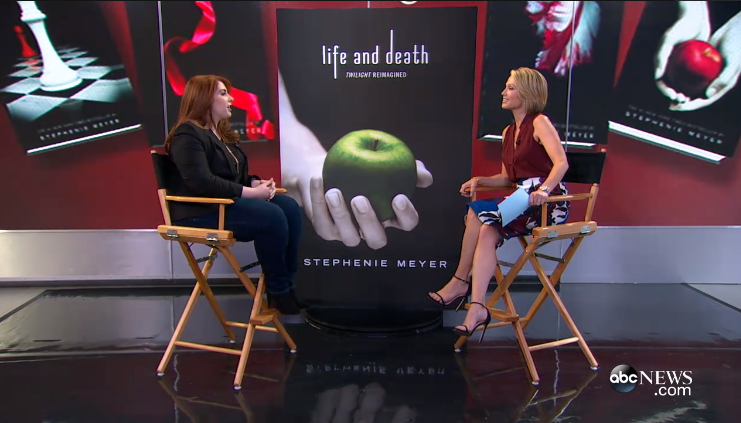 Stephanie Meyer announced on Good Morning America today that the 10th anniversary release of her book, Twilight, has a major twist to the story that may really excite fans, or simply bewilder them. In Life and Death: Twilight Reimagined (now available), we no longer follow the forbidden and dangerous romance between Bella and Edward, but between Beau (Beaufort) and Edythe. The 442-page rewrite of the first book in her best-selling series was produced to debunk the theories and the backlash regarding Bella Swan’s “damsel in distress” position in the story. Will this new take on the iconic vampiric love story lead to a new series, and even another film? Eh, don’t count on it. Meyer stated on GMA regarding the series, ” I don’t think so. This is just one version of Beau.” Even after hearing that this rewrite was “fun, but also fast and easy” for her to produce, we probably won’t see any New Moon or Eclipse reimaginings in the future. What do you think about this gender bender version of the already widely known story? Do you plan on picking up a copy, or did your love for Twilight fizzle long ago? Let us know in the comments, or on Twitter @fanspeakfiles. I would absolutely love to meet with Stephenie Meyer and discuss the ideas for continuing the reimagined series. I too am an author and would love for her to hear my theories. I believe that my wild imagination could help with certain points. I do love this series and that it came from the heart. I’m a believer as well.